Christine Granados, author of "Fight Like a Man and Other Stories We Tell Our Children"
will Lecture at the TAMIU Killam Library at 6:30 p.m.
2017 SSI Application is now available! Values teacher experience as the key to school reform. Provides links to local, state, and national networks. Partnerships with school, college and university educators. Sustained professional development and dialogue. Most importantly, STWP offers low- cost, effective professional development within the communities it serves. Developing a leadership cadre of local teachers who have participated in invitational summer institutes in the teaching of writing. Delivering customized inservice programs for local schools and institutions. In addition, NWP sites may conduct programs for youth, for parents and community members, and for administrators. Each NWP site is housed in a college or university and is constituted as a school/university partnership that identifies, celebrates, and enhances the professional role of successful classroom teachers. 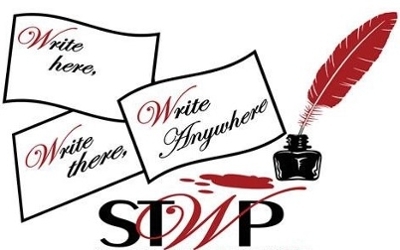 Texas A&M International University is the home of the South Texas Writing Project, STWP is an affiliate site of the National Writing Project. The South Texas Writing Project is an affiliate site of the National Writing Project, the largest professional development network in the U.S. with over 200 sites. NWP, a federally funded non-profit organization, is listed in the “No Child Left Behind” catalog of models for comprehensive school reform. Texas A&M International University is the home of the South Texas Writing Project, first founded in 1996.